The library technology industry provides essential infrastructure upon which libraries depend to support their daily operations and deliver content and services to their communities. Tied to the economy of libraries, the vendors that make up the library technology industry support a stable but highly constrained economic sector, with global opportunities. 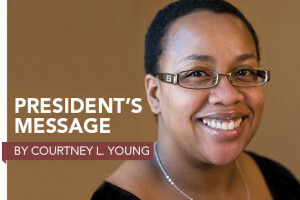 Library budgets may never recover to pre-recession levels, fueling interest in technology to improve their efficiency and the impact of collection resources. Products able to deliver efficiency, innovation, and excellent user experience are especially well positioned in this phase of the history of the industry. Following a period of intensive development, a slate of new products that aims to align with current strategic priorities has entered a new phase of broader implementation. Index-based discovery services, available since 2009, have become vital components of academic library infrastructure and continue to see strong sales, including both first-time implementations and churn from competitors. Library services platforms, in production use since 2011, have passed into the realm of routine offerings, especially for academic libraries in desperate need of systems that can manage both electronic and print resources. Many public libraries facing intense demand to present more modern and dynamic services to their communities and deliver seamless access to ebook collections are ready to upgrade or replace incumbent products with ones better able to fulfill current realities and expectations. With broader acceptance of cloud technologies, more libraries are opting for software as a service (SaaS) deployments, especially when they have fewer technical resources to support local implementations. While libraries are able to risk adopting technologies in earlier stages of development, a broader contingent now expects to implement proven and reliable products. Products considered innovative or pioneering two years ago must now be ready for routine operational implementation in order for these products to succeed in this phase of concerted sales. This new phase of sales and implementation is well under way. Products are being built anew, including Ex Libris Group’s Alma and OCLC’s WorldShare Management Services, which have both been available in production release since 2012, each completing three full years of sales and several hundred installations. Innovative Interfaces, Inc.’s Sierra, positioned as a technological uplift from Millennium—the integrated library system (ILS) that incorporates many characteristics of a library services platform—has seen chart-topping sales. EBSCO Discovery Service, Ex Libris’ Primo Central, ProQuest’s Summon, and OCLC’s WorldCat Discovery Service compete vigorously among academic libraries. SirsiDynix offers a new suite of BLUEcloud applications that provides modern functionality and can interface in tandem with ILS products Symphony and Horizon. ProQuest continues to make progress in developing Intota, with an early release available now and the full product anticipated for next year. 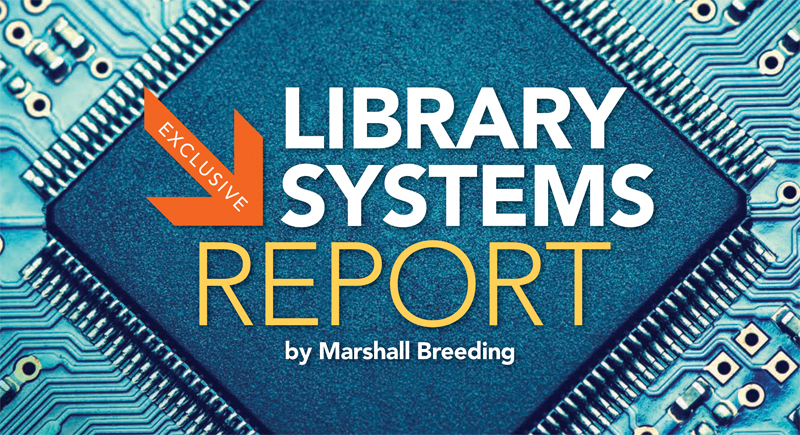 Integrated library systems (ILS), such as those produced by The Library Corporation and Auto-Graphics, have seen considerable development, especially on patron-facing, web, and mobile-friendly staff interfaces. In an industry composed primarily of private companies having no public reporting requirements, the level of transparency exhibited far exceeds what would be expected in other business sectors. Interestingly, the for-profit organizations often divulge more information than nonprofits. Many innovative products and services fall outside the scope of what surveyed organizations and this report cover, including content products oriented to libraries, reference services, general productivity tools, or other technology products addressing more specialized aspects of library operations. Even within its defined scope of products and companies, the report is high-level and selective. 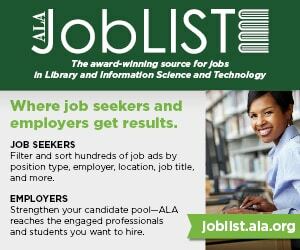 Look to Smart Libraries Newsletter, published by ALA TechSource, for more in-depth coverage of the industry. Libraries expect technology products that can help them meet their operational needs and strategic priorities. Not all library budgets have entirely recovered from the recession, but more are now able to make investments in technology products better aligned with their priorities and migrate from incumbent systems purchased to serve needs that have since shifted. Vendors, more than ever before, face formidable competition to deliver products that deliver true innovation and financial value. The trend toward hosted services continues. This shift relieves libraries from a cluster of expenses associated with maintaining local equipment and provides opportunities for technology providers to enhance revenue. Operating on a large scale, vendors incur lower costs per library in providing hosted services, yet pricing must offer value to libraries relative to locally hosted installations. Libraries increasingly expect web-based interfaces that eliminate the overhead of installable desktop clients and support efficient and ergonomic workflow. Large companies dominate the library technology industry. Some of the organizations involved in producing technology systems do so in the context of providing a broader set of products or services. EBSCO Information Services (2,982 employees worldwide), Follett (1,359), and OCLC (1,315) loom largest, but library technology products represent only a portion of their overall business activities. Among the companies entirely focused on library technology products, Ex Libris ranks largest, with a total workforce of 565. ProQuest Workflow Solutions, a business unit that consolidates the former Serials Solutions (products include Summon, 360 Suite, and Intota), Bowker, and ProQuest Research Solutions (includes RefWorks), employs 480. Civica reported a total workforce of 454, though many of its employees are involved with its outsourcing services for school libraries in Singapore. SirsiDynix reported 422 personnel. Innovative, following the consolidation of Polaris Library Systems and VTLS, Inc., reported a total workforce of 416. Multiple rounds of mergers and acquisitions have produced these industry giants. Further consolidation in the future should be considered likely. Tiers of midsized and smaller companies continue to prosper by filling specialized market niches and geographic regions. We estimate the 2014 library technology economy, including the total domestic and international revenues of all companies with a significant presence in the US or Canada, at around $805 million. This is an increase of nearly 2% relative to last year’s estimate of $790 million. US revenues of these companies total around $495 million, while aggregate global revenues total in the $1.85 billion range. These figures include RFID and other self-service products in addition to the technologies related to library management and resource discovery. Within these broad industry figures, individual companies experienced varied increases or losses in revenue. Factors stimulating industry revenues include scheduled increases in annual fees (especially for maintenance and hosting), shifts from local installed systems to SaaS subscriptions, increased investments in discovery services, and an increased number of system replacements. Annualized fees represent the majority of revenues generated, with a much smaller portion coming from new system sales. Consideration of the relative performance of each company’s new and ongoing business requires attention to multiple factors. The number of contracts signed in a calendar year provides a general measure of success, though attention must be given to the number of library organizations and individual facilities represented. Size and complexity of libraries provide additional color to the picture of sales performance, and may add to the difficulty of tabulating results. Ex Libris signed 43 contracts for library services platform Alma, representing 77 individual libraries, achieving a cumulative 406 installations and an increase over the 31 contracts signed last year. Contracts were primarily to larger academic institutions, so estimated aggregated contract values for Alma exceed that of competing systems. On the market for four years, Alma has become well established in a niche of large and complex academic libraries and consortia. The Orbis Cascade Alliance recently completed installation and a move toward shared infrastructure for its 37 academic library members in a closely watched project. The Wales Higher Education Libraries Forum (WHELF) Consortium has selected Alma. Each Alma sale included discovery service Primo, which saw additional sales. Ex Libris also reported 25 new sales for its Aleph ILS, mostly due to large libraries in Asia, Latin America, and other international regions. Rosetta, providing digital preservation and management, saw nine sales, mostly to larger institutions. With its arsenal of well-established products designed for academic and research libraries, Ex Libris has strong prospects for increasing revenues for years to come, barring unexpected disruptions. Innovative signed an impressive 123 contracts for library services platform Sierra, representing 249 library organizations and 1,032 individual branches or facilities. Those upgrading from Millennium account for most Sierra sales, though 29 were to new libraries. Sierra sales improved over the 113 contracts signed in the previous year, though a bit below the coverage of 1,051 facilities in 2013. The Republic of Ireland selected Sierra for its national network of 30 library authorities representing more than 300 branches and service points. An example of the winner-take-all projects becoming more common, this implementation will displace multiple incumbent systems, including Dynix Classic, Horizon, and Symphony from SirsiDynix, as well as the OpenGalaxy ILS from Axiell Group used in Dublin city libraries. Innovative has made substantial progress in migrating Millennium sites to Sierra, with 495 installations to date. Millennium installations peaked in 2011 at 1,425, and have since decreased 18% to 1,172 in 2014. However, the company has seen a net growth by attracting non-Millennium sites to Sierra. The 1,667 combined Sierra and Millennium installations represent a growth in overall installations by 242, or 17%, compared to 2011. Sierra includes characteristics of both a library services platform and an ILS. Its evolutionary approach has proven to be successful in retaining existing customers and attracting new ones. For the purpose of this report, the new technology platform, product name, and fees assessed for migration qualify Sierra as a new-name product, rather than an upgrade from Millennium. Putting forth a new-name product comes with some risk. For many Millennium sites, consideration of Sierra may trigger an open procurement process that may or may not favor the incumbent system. Though winning most contracts, Innovative has seen some leakage of libraries running from Millennium to competitors, including several selecting SirsiDynix’s Symphony. Innovative continues development on Sierra to fulfill its position as a new generation product. In 2014, Sierra was extended with its first set of RESTful APIs in support of improved interoperability, with third-party discovery and resource sharing components requiring programmatic access to data and functionality. Despite—or possibly because of—its mixed technical characteristics, Sierra has seen success in terms of library selections and retentions. The company’s 25-year strategy for incremental product transitions rather than wholesale redevelopment continues to resonate with a large portion of the library technology market. Through business acquisitions completed last year, Innovative has added products to its arsenal, including the Polaris and Virtua integrated library systems and a variety of specialized and niche products developed by VTLS. Innovative and Polaris have both seen demand for web-native interfaces in their products, to relieve libraries from the burden of maintaining Java or Windows-based applications for staff computers. The Leap clients developed by Polaris prior to its acquisition have been further developed to operate with Sierra. Sales of the ILS products Polaris and Virtua fell in recent years and saw a sharp decline in this first year under Innovative. Contracts for Polaris peaked, with 56 signed in 2008. The 15 contracts signed for Polaris this year represent half of those seen in 2013, and an all-time low since 2002. The numbers alone don’t fully represent Polaris’ performance, since they don’t account for the large municipal libraries that may generate more revenue than smaller libraries. Innovative voices support for the ongoing development and sales of Polaris, but it remains to be seen if libraries will have confidence in Polaris under Innovative as they make selection decisions for a product likely to be in place for a decade or longer. Virtua saw five new contracts in 2014. New sales of Virtua have been declining since its peak in 2008 (with 67 in 2008, 18 in 2009, 22 in 2010, 13 in 2011, 14 in 2012, and seven in 2013). All sales made for Virtua this year were outside of the US. OCLC completed 2014 with 79 new contracts for WorldShare Management Services, representing 90 individual libraries. Though the number of contracts has declined each year since 2011 (with 184 in 2011, 163 in 2012, and 92 in 2013), the size of the libraries signing has grown considerably. OCLC did not provide a list of the specific institutions signed in 2014, but the majority of those known to have signed for WorldShare Management Services this year were midsized academics, with an increasing number of larger institutions represented. Contracts include the LIBROS Consortium of academic libraries in New Mexico, the University of Louisville, Kentucky State University, Eastern Kentucky University, and Northern Kentucky University. OCLC also reported that subscriptions to WorldCat Discovery Services (as announced in March 2014) now total 2,085, with 1,796 subscriptions for WorldCat Local, though it did not report new sales made in 2014. These numbers are represented at least partially by the conversion of FirstSearch service users. SirsiDynix reported 118 total contracts for Symphony, 64 of which were new-name clients. Another 13 contracts were signed for Horizon, mostly in international regions where Horizon has been well established. SirsiDynix won business from a variety of competitors, including 120 libraries representing 176 branches that will migrate to Symphony from Millennium as a result of contracts signed in 2014. On the development front, SirsiDynix focuses efforts on its BLUEcloud Suite of applications. The company emphasizes this strategy to ensure that all forward development benefits both Symphony and Horizon, which can be fully integrated with the BLUEcloud platform. This new web-native, multi-tenant platform provides the foundation for the company’s growing suite of BLUEcloud applications, including eResource Central for e-resource management and access, BLUEcloud Analytics, and web-based modules that complement or replace those provided through SirsiDynix’s legacy ILS products. BLUEcloud Cataloging has been completed, with BLUEcloud Circulation expected in 2015. SirsiDynix outlines its development road map as progressively shifting functionality from Symphony and Horizon to the BLUEcloud platform, though no specific date has been set where dependency on the existing ILS products will be eliminated entirely. The company reported expanding its software development capacity to 142, an increase of 40 employees relative to last year, and up 80 employees from the 60 personnel reported in 2010. SirsiDynix’s product performance has been complicated in recent years. The company both attracted new customers to Symphony and saw substantial defections from Symphony and Horizon during the reign of owners Vista Equity Partners. The combined installed base of its two strategic ILS products has grown, though Horizon installations have declined from a peak of 1,612 in 2007 to 1,019 this year (a drop of 593, or 36%). SirsiDynix no longer urges Horizon sites to migrate to Symphony but rather emphasizes that its new BLUEcloud Suite benefits both ILS products equally. Only two libraries migrated from Horizon to Symphony in 2014, compared with six in 2013, 91 libraries including more than 220 branches in 2012, and 94 libraries representing 186 branches in 2011. Defections from Horizon to competing products have likewise slowed. These figures reflect at least some confidence among sites remaining with Horizon, and perhaps reliance on the company’s BLUEcloud strategy for new technological and functional improvements. Symphony emerged on top in a variety of competitive procurements against companies that in previous years were able to draw away libraries from its customer base. Wins at the expense of Innovative in 2014, for example, include the 15 members of Luzerne County (Pa.) Libraries, the 80 members of the System Wide Automated Network (SWAN) in Illinois, Greater Victoria (British Columbia) Public Library, and the 10 members of the Organization of Watauga Libraries (OWL) in Northeast Tennessee. The East Mississippi Regional Library in Quitman elected to move from Polaris to Symphony. ProQuest reported that 39 libraries licensed the initial release of Intota, a package that includes Intota Analytics, the Summon discovery service, and new versions of 360 Link and 360 Resource Manager. This package provides management tools for a library’s electronic resources and discovery for all types of resources, while relying on an existing ILS for the management of print materials. ProQuest anticipates the release of Intota v2 to manage all types of resources, available for production use in 2016, enabling libraries to transition from legacy ILS implementations. In the small public library sector, Biblionix signed 49 additional clients, down from the 87 reported for 2013. The installed base for its Apollo ILS now totals 435 libraries. Given the small size of the libraries involved, a single contract to one of the larger system providers could equal the revenues associated with the entire Apollo customer base. With its focus on small libraries with limited budgets, Biblionix provides a web-based ILS with a targeted feature set, offered at an affordable annual subscription fee. The vendors of the larger systems do not offer pricing tiers within smaller libraries’ financial means, and the complexity of their products can overwhelm small libraries with modest functional requirements. The success of Biblionix demonstrates the ability of a small company to deploy a multi-tenant platform that supports a growing customer base with low operational costs and affordable subscription fees. ByWater Solutions reported 53 new support contracts for the open source Koha ILS. The company provides a slate of services including migration from incumbent ILS products, hosting of its Koha instance, and ongoing support. ByWater is also involved with a variety of projects to enhance the functionality and extend the architecture of Koha, and works closely with many firms and individuals supporting and developing Koha around the world. LibLime reported eight new libraries moving to LibLime Academic Koha and another 29 for LibLime Koha. A division of PTFS, LibLime develops and supports commercial products based on Koha, forked from the code base in 2009 and since separately developed. PTFS relies on its Koha-based technology as a component, along with its ArchivalWare and Digital Library System (DLS) to manage both print and digital resources for large government organizations. LibLime also supports public library consortia, including the AspenCat Union Catalog in the Colorado Library Consortium and the Pioneer Consortium in Nebraska. The Library Corporation stated in a press release that it signed 67 ILS contracts in 2014 but did not provide detailed sales statistics in its response to this year’s vendor survey. Known contracts for CARL.X signed in 2014 include the Metropolitan Library System of Oklahoma. The Los Angeles Public Library, a CARL site since 1993, recently elected to renew its contract for CARL.X, further reaffirming its position among large public libraries. The company stated that its 65 contracts for Library.Solution include new sites, multiyear contracts, and sale of LS2, considered a major upgrade package. Library.Solution has also seen considerable success in the K–12 school library sector, especially in large districts needing a centralized library system. The statewide network of school libraries in Hawaii recently selected Library.Solution, migrating from Follett’s Destiny line. More than 100 small and mid-sized academic libraries currently use Library.Solution. TLC has completed an academic reserves module for Library.Solution to further strengthen its academic offerings. Selection by members of the Association of Research Libraries (ARL) benchmarks success in the high end of the academic market. Ex Libris leads with 66 members (Alma with 19, Aleph with 18, Voyager with 29), followed by Innovative in 33 institutions (Millennium with 20, Sierra with 13), SirsiDynix serving 19 members (Symphony with 17, Horizon with two), and now three ARL members have chosen OCLC WorldShare Management Services. SirsiDynix gained new ownership in December 2014 with its acquisition by ICV Partners from Vista Equity Partners, which had owned the company since 2006. The eight-year period of ownership by Vista Equity began with an initial phase of aggressive business integration and threatened product consolidation. In the more recent years of Vista Equity’s ownership, the company had reinstated commitment to its ILS products and entered an ambitious development campaign, fueling a positive outlook that may have contributed to attracting new investors. Compared to Vista Equity, with $5.775 billion in its most recent fund, ICV Partners ranks as a much smaller private equity firm, with a total of $440 million. As a minority-owned and -managed firm with no previous involvement in the technology sector, ICV Partners brings a fresh investment perspective to the industry. SirsiDynix executives have made investments in the equity of the company as part of the ownership transition. SirsiDynix acquired EOS International in 2013, which has since become increasingly integrated into the company, with its EOS.Web product line remaining fully intact. Prospects for SirsiDynix have strengthened. It stands as one of the largest companies in terms of capital and personnel resources and has regained strength as one of the most formidable competitors in the industry. Since its 2012 transition to private equity ownership by JMI Equity and HGGC, Innovative has seen significant expansion. In March of last year it acquired Polaris Library Systems, a key competitor in the US public library sector. Innovative states it will continue to develop and support the Polaris ILS and operate its Syracuse office as one of its global service and support centers. In June 2014, Innovative acquired VTLS, Inc. from its founder Vinod Chachra. The Virtua ILS has a strong presence in many international regions, especially Malaysia, India, and parts of Europe. The Hong Kong Public Libraries and the Queens (New York City) Library have also implemented Virtua, but VTLS did not further capitalize on these major projects to make inroads into the large municipal library sector. OCLC acquired the small consulting firm Sustainable Collection Services, expanding its capacity in the area of print collection management. The company provides expertise to assist libraries with identifying materials for transfer to remote storage and in the development of multi-institution shared print collections. EBSCO Information Services purchased YBP Library Services from Baker & Taylor, which it states will maintain its identity as a separate business. Many libraries make use of YBP’s GOBI3 platform in their acquisitions of monographs. The combination of EBSCO’s existing subscription services for print and electronic serial materials and GOBI products for monographs strengthens EBSCO’s services for resource acquisition and management. While YBP expands this capacity, EBSCO’s broadest strategy remains centered on content products and discovery services. In the RFID, self-service, and automated materials handling arenas, Bibliotheca acquired Aturis Group in January 2015, expanding its geographic scope to include the Netherlands, Belgium, and Germany. In October 2014, Bibliotheca launched a new subsidiary in South Korea led by executives associated with ECO Co. Ltd.
Held by One Equity Partners, Bibliotheca was formed in 2011 through the consolidation of UK-based Intellident, North America-based Integrated Technology Group (ITG), and Switzerland-based Bibliotheca. Subsequent acquisitions included Trion AG in 2012, known for its manufacturing of automated materials handling equipment for libraries. Also on the international front, major Scandinavian IT services firm The Systematic Group acquired Dantek, a much smaller company that had recently won a contract to develop a new integrated library system to serve the majority of public and school libraries in Denmark. The company made significant progress on the completion of its new ILS product, with an early release installed in Horsens Municipal Libraries. Axiell, seeing its prospects somewhat diminished in the Scandinavian library sector through the awarding of the Danish ILS project to Dantek, has expanded globally into museums and archives. The company has been involved with museums and archives since the launch of Calm, a product initially created by UK-based company DS Ltd., acquired in 2008. Last year’s acquisitions of Adlib Information Systems and Salego Design extended its position in the museums and archives sector. In April 2014, Axiell acquired KE Software, gaining the EMu museum management platform and Vitalware records management system. At the time of the acquisition, KE Software employed around 50. Axiell reported 272 employees in 2014, an increase over the 219 reported last year. 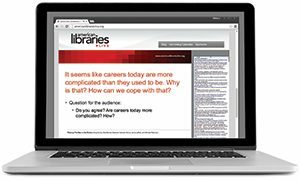 Academic libraries, with collections heavily weighted toward scholarly electronic content, seek solutions to optimally assist the staff members managing them and provide ideal discovery and delivery for students and faculty. Migration patterns include moving away from incumbent print-oriented ILS products, such as Voyager, Aleph, Symphony, and Horizon, in favor of library services platforms capable of managing electronic and print resources. Ex Libris focuses its efforts almost exclusively on academic and research libraries. Of the 77 individual libraries (representing 43 contracts) signing for Alma in 2014, 73 were academic. Larger and more complex academic libraries favor Ex Libris’ Alma in new selections, with OCLC WorldShare Management Services now beginning to move beyond mid-sized academics to serving larger libraries. Although OCLC attracts many types of libraries, it sees the most traction for its WorldShare Management Services among academic institutions; in 2014, academic libraries represented 69 of the 90 libraries selecting WorldShare Management Services. ProQuest Workflow Solutions, the division of the company focused on developing resource management and discovery tools for academic libraries, continues development of Intota. An interim release of the Intota product brings together Intota Analytics, Summon, and the functionality of 360 Link and 360 Resource Manager, deployed on a new platform that enables libraries to manage and provide access to its electronic resources. This package aims to help academic libraries develop their collections based on data and analytics—metrics such as cost per use—to avoid duplication. Intota v2, which will be designed to extend this workflow to print materials, may prompt libraries to migrate from their incumbent ILS when the product becomes available in 2016. Symphony continues to see interest among academic libraries. New sales to academics in 2014 include larger ones internationally and those serving smaller institutions in the US. The June 2014 announcement of BLUEcloud Campus reflects SirsiDynix’s interest in strengthening its product for this sector. With academic libraries representing around 17% of its global customer base, the company has much at stake in strengthening its offering for these libraries. Seventeen ARL members currently use Symphony, and two others use Horizon. SirsiDynix faces formidable competition in the academic sector, especially from the specialized products Ex Libris and ProQuest maintain. Interest in open source products continues to represent a thread of activity among academic libraries. ByWater Solutions reported that 42 of the 94 new service agreements it signed for Koha were to academic libraries. Kuali OLE, an open source environment for academic and research libraries, saw its first two production implementations in August 2014. Interest in discovery services continues to build among academic libraries as they strive to optimize the impact of their investments in scholarly electronic resources, in balance with their print collections. EBSCO reported 2,634 new subscriptions to EBSCO Discovery Service (EDS) and 8,246 total installations. EDS finds use in academic libraries as well as public, school, and special libraries. Unlike other providers of index-based discovery services, EBSCO has not developed its own resource management product but instead focuses on integrating EDS with any ILS the library currently has in place. Integration partnerships are in place with more than 30 ILS providers globally. Examples include Encore Duet, an integration of EDS into Innovative’s discovery product compatible with Sierra or Millennium, and integration of EDS with SirsiDynix Enterprise. Work has recently been completed to enable libraries using OCLC’s WorldShare Management Services to apply EDS as the patron interface. Ex Libris and EBSCO remain at loggerheads with regard to populating Primo Central with EBSCO content and integrating EDS and Alma. Ex Libris made 88 new contracts for Primo in 2014, increasing its total installations to 1,529. This count includes those packaged with Alma as well as those sold to libraries using it with other ILS products. Ex Libris recently entered a partnership with ProQuest to index its content products in Primo Central. ProQuest reported 195 new subscriptions to Summon, increasing its total to 697 installations. In 2014, ProQuest announced the company had increased the Summon index by 350 million records, or 16%, and added new features to Summon 2.0, launched in 2013. ProQuest has also moved Summon from its own data centers to the cloud using Amazon Web Services (AWS). Interest in reading list tools expanded in 2014. Products that manage and provide access to course reading materials have been of interest in the UK for the last few years, with Talis Aspire and the open source rebus:list from PTFS Europe leading the way. Talis, having exited the ILS and semantic web arena, now focuses on its reading list product and digitization services, and reports 77 universities in the UK and Europe have implemented Aspire. PTFS Europe made nine new contracts for rebus:list, bringing the total library installations to 21. EBSCO developed Curriculum Builder, which leverages the EDS infrastructure and offers a plugin to the institutional learning management system, allowing instructors to select reading materials for their courses based on the library’s materials or other sources. Ex Libris is working with development partners to design and develop its new Leganto reading list product, expected for early release in August 2015. SirsiDynix, consistent with its efforts to strengthen offerings for academic libraries, announced in March 2015 that BLUEcloud Lists will be released later in the year. Public libraries depend on technology able to support the services they offer to their communities, which continue to include vigorous circulation of print materials and physical media and sharply rising interest in ebook lending. These libraries continue to select integrated library systems as their preferred resource management platform, as opposed to the library services platforms implemented by academic libraries. Public libraries are typically served by products created to serve multiple library types. SirsiDynix’s Horizon and Symphony, and Innovative’s Sierra and Millennium, are implemented by large numbers of public libraries but also used by other sectors. Polaris, primarily oriented to public libraries and now under the ownership of Innovative, saw only 15 new sales in 2014. SirsiDynix has more public libraries using Symphony—1,121 out of 2,546 installations, or 44%—than any other library type. On the international front, the Spydus line from Civica finds most of its use in public libraries. Civica released Spydus 9 in 2013, a major overhaul of the product. The company announced in February 2015 its plans to release Spydus 10 as a cloud-based service, with responsive web-based interfaces and functionality that allows for management of print resources, digital assets, and archival materials. Civica expects to release Spydus 10 in May 2015. Axiell provides a number of integrated library systems for public libraries in Denmark, Finland, Sweden, and the United Kingdom. Baratz, based in Madrid, supports many large networks of public libraries in Spain via its AbsysNET ILS, as well as libraries in surrounding countries and Latin America. Baratz reported 25 new contracts for AbsysNET in 2014, representing 44 libraries and 85 total facilities. Libraries using AbsysNET now total 2,937, with another 448 using its earlier Absys ILS. The Library Corporation (TLC) marked 2014 as its 40th anniversary in business. With a workforce of almost 200, the company ranks as the largest of the midsized companies, though considerably below the industry giants. Throughout its history, the company has remained under the ownership and management of its founder and has not become involved with private equity investment. TLC has grown organically by attracting libraries to its Library.Solution and through business acquisitions. It acquired the CARL system in 2000 and has redeveloped it into the current CARL.X ILS that continues to see occasional new implementations. TLC also acquired Tech Logic in 2005, a Minnesota-based company specializing in RFID, self-service equipment, and automated materials handling systems. TLC offers a diversified set of products and services. While best known for its products for public libraries, Library.Solution has a strong presence in the K–12 school library sector and finds use in small-to-mid-sized academic libraries. Geographically, most of its business comes from US libraries, though it also operates an office in Singapore active in both library automation and professional services for cataloging and collection management. BiblioCommons continues to expand its presence in the public library sector for patron-facing interfaces. Its BiblioCore discovery platform has been adopted by more than 200 libraries, including some of the largest and most prestigious. Recent clients include the Chicago Public Library and Pima County (Arizona) Public Library. BiblioCore stands as one of the few commercial discovery products able to entice public libraries away from the offerings of their ILS provider. Its compelling features include social engagement functionality for patrons, elegant user design, and seamless interoperability with third-party services. This interoperability extends to ebook lending platforms and a comprehensive integration with the library’s ILS that entirely replaces the native catalog, including patron account and request features. BiblioCommons, in partnership with Chicago Public Library, this year developed and launched BiblioCMS as a managed platform that replaces not only the library’s catalog but also its website. Auto-Graphics provides both the VERSO ILS and the SHAREit resource sharing environment, both primarily oriented to public libraries. Of the 21 contracts representing 127 libraries made for VERSO in 2014, the majority (17 contracts, 91 libraries) were to public libraries. The company reported four new sales of SHAREit: three to public libraries and one to a consortium. Priorities in the K–12 sector differ considerably from those in academic and public libraries. Libraries serving schools build collections according to reading level and carefully select materials according to curriculum support and appropriateness for age groups. While individual school libraries tend to be small, many belong to large or consolidated school districts where a centralized automation system may be shared by several hundred libraries. Compared with public and academic libraries, vendors serving the K–12 sector report much larger numbers of libraries served, with much smaller revenues earned per school. The number of districts served may be a more comparable figure. Centralized, districtwide IT departments generally take responsibility for the library automation systems in each school and expect to see interoperability with other infrastructure components, especially for student records. Some technology vendors oriented to schools, especially Follett, look beyond library automation to provide products that serve other areas of school district administration. Follett dominates the K–12 school library sector in the United States, reporting a market share of more than 70% of US public schools. The company completed the consolidation of its PreK–12 businesses into Follett School Solutions in 2014. In addition to Destiny Library Manager (ILS), its portfolio of products includes Destiny Resource Manager, Destiny Textbook Manager, the Follett Shelf ebook management platform, and the Aspen student management system. Destiny Library Manager gained 5,730 new libraries and sits at 63,186 total installations—impressive numbers that reflect ­Follett’s success in this sector. Other companies participate in the K–12 library sector on a smaller scale. COMPanion signed 178 new contracts for its Alexandria automation system in 2014, representing 539 individual libraries. Book Systems signed 164 contracts for its web-based Atriuum ILS, representing 364 libraries. Of those 364 libraries, 261 were schools and 65 were small public libraries. Atriuum is now installed in 3,302 libraries. Its Concourse ILS saw 53 new sales that increased its total installations to 9,838. Book Systems also offers the Booktracks asset management system. Library.Solution from The Library Corporation (TLC) has been adopted by a number of large school districts. SirsiDynix sees most of its new sales among public, special, and academic libraries but has some large implementations in the school sector. INFOhio, which includes almost all public school libraries in Ohio, is structured on regional clusters each running the Symphony ILS. The sector of special libraries is distinct in that it’s not a homogeneous group. Medical, law, corporate, and others generally considered as special libraries each have different requirements for supporting technology infrastructure and are served by different vendors. Since these libraries tend to be part of private corporations, less data is available regarding individual installations. A number of the brands serving special libraries have consolidated into Lucidea. These include SydneyPLUS, Cuadra Associates, and Inmagic. Lucidea did not respond to this year’s vendor survey. Soutron Global, in partnership with Soutron Limited in the UK, launched in North America in 2012 and has gained an increasing number of clients. The company made 42 new installations of its Soutron ILS in 2014. New products recently developed include the Soutron Digital Server for the distribution of ebooks and resources based on Adobe Content Server’s digital rights management technology. A new archives module is under development, with a release projected for 2015. Open source automation and discovery products continue as an integral portion of the industry. In the United States, open source ILS has its largest presence in small-to-mid-sized public libraries. Out of the approximately 17,000 public library facilities in the United States, 741 use Koha and 1,218 use Evergreen, for a total of 1,959, or almost 12% of the market. Use of the open source Koha ILS continues to grow, with widespread adoptions taking place in international regions. In the United States, libraries implement Koha primarily through service arrangements with commercial providers. Fifty-three organizations, representing 94 individual library facilities, signed service agreements with ByWater Solutions in 2014, down somewhat from the 68 contracts reported in the previous year. These libraries migrated from a variety of ILS products including Millennium (17), Library.Solution (7), and Symphony (5). Some libraries already using Koha shifted to ByWater’s support services, including those previously using it independently (6) or through LibLime, Equinox Software, or Amigos Library Services. Of these libraries, 47% can be classified as small academic, 28% are public, 20% are special, and 2% are school. Equinox Software signed 23 new service agreements for Evergreen, representing 68 individual libraries and increasing the total number of installations to 820. The company has developed a new hosting platform called Sequoia to support its growing base of customer libraries with greater performance and reliability. Ten consortia signed agreements for Sequoia hosting in 2014. Equinox has also launched Active Integrated Maintenance, a subscription service enabling libraries to select specific development priorities. The company additionally provides support services for Koha and signed Koha service agreements with two additional libraries in 2014. Unlike proprietary products produced by a single company, open source library-oriented projects are designed and programmed by globally distributed and loosely coordinated communities of developers. Initiatives that are under way to strengthen Koha include a major grant from EBSCO to facilitate the implementation of ElasticSearch as a search engine option, improved facets, and additional APIs to support discovery integration. Another project progressing is the creation of a RESTful API to support other data reporting and interoperability scenarios. A significant transition happened in the arena of higher education-oriented open source software with the launch of KualiCo, a commercial company that will develop and offer services for the suite of products associated with the Kuali Foundation. The larger-scale projects, including Kuali Financial System, Kuali Student, and Kuali Coeus, have engaged with KualiCo. The organization has also acquired rSmart, a company previously involved in hosting services for Kuali products. The Kuali OLE project remains independent from KualiCo, and uncertainty remains regarding the status of Kuali Rice, the underlying services layer upon which Kuali OLE depends. In August 2014, the first two libraries placed Kuali OLE version 1.5 into production. The University of Chicago Library migrated from Horizon and Lehigh University Library Services from Symphony. Both implemented Kuali OLE for management of print resources and have not yet implemented the electronic resource management features or the Global Open Knowledgebase (GOKb). Open source discovery interfaces also continue to gain momentum. VuFind, originally developed at Villanova University, has been adopted as the front-end discovery environment for many individual libraries and large-scale projects. The Marmot (Colorado) Library Network, for example, employs VuFind as the basis for a discovery environment for its members. VuFind is noted for its seamless integration of ebook lending platforms, including commercial services from OverDrive and locally managed repositories. As an academic example, the University of Chicago Library implemented VuFind as its discovery layer to integrate with Kuali OLE and EBSCO Discovery Service. Note: This Library Systems Report 2015 documents ongoing investments of libraries in strategic technology products made in the 2014 calendar year. It covers organizations, both for-profit and nonprofit, offering strategic resource management products—especially integrated library systems and library services platforms—and comprehensive discovery products. The vendors included have responded to an extensive survey requesting many details about their organization, sales performance, and narrative explanations of accomplishments. Additional sources consulted include press releases, news articles, and other publicly available information. Most of the organizations provided lists of libraries represented in the statistics reported, allowing for more detailed analysis and validation. MARSHALL BREEDING is an independent consultant, speaker, and author. He writes and edits the popular website Library Technology Guide.